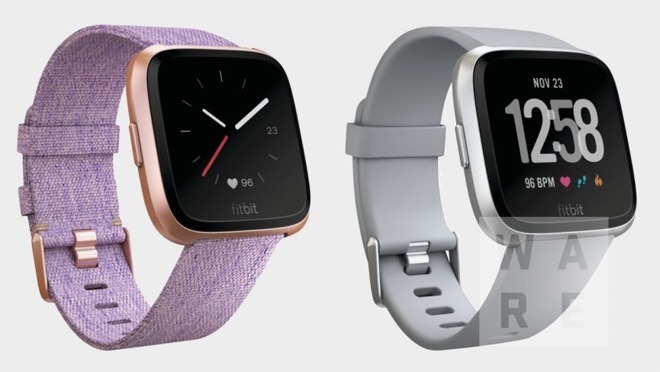 Wareable posted pictures and information about the new Fitbit smartwatch on Wednesday morning. The new model has much in common physically with the Blaze, the Fitbit fitness watch first introduced in 2016. According to the report, the new watch will be announced this spring. It will run the Fitbit OS software, which debuted on the Ionic. The watch is also said to be smaller than the Ionic. Fitbit debuted the Fitbit Ionic in November 2017. The company hinted during its latest earnings conference call that it was already working on a follow-up, which would have more "mass appeal" than the Ionic. A source close to the company told Wareable that Fitbit has admitted that the Ionic failed to catch on, and hopes to bring its follow-up to a wider segment, especially women. The photos show a cleaner design than the boxy Ionic, with five different colors available. It is not yet known what the new watch will be called or its price point. Whatever the name, it will compete both with the Apple Watch at the high end and cheaper alternatives at the low end. AppleInsider reviewed the Fitbit Ionic in November. We found it to be better as a high-end fitness tracker than a full-on competitor to the Apple Watch, and impacted by a poor app ecosystem.